Dalston is an elegant 2-column free resume template with a stylish designed left border. Newsletter resume template. 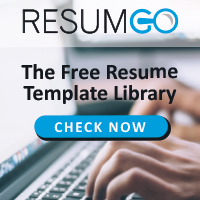 Centrum is a simple, easy to read and straight to the point free resume template. 1-column single page resume template with colored banner header with a speech bubble. Bayview is another clean 2-column free resume template with a top left vertical colored banner. Stylish resume template. Astoria is a clean 2-column free resume template with a double horizontal colored banner on top. Carefully created, with a modern yet simple style.